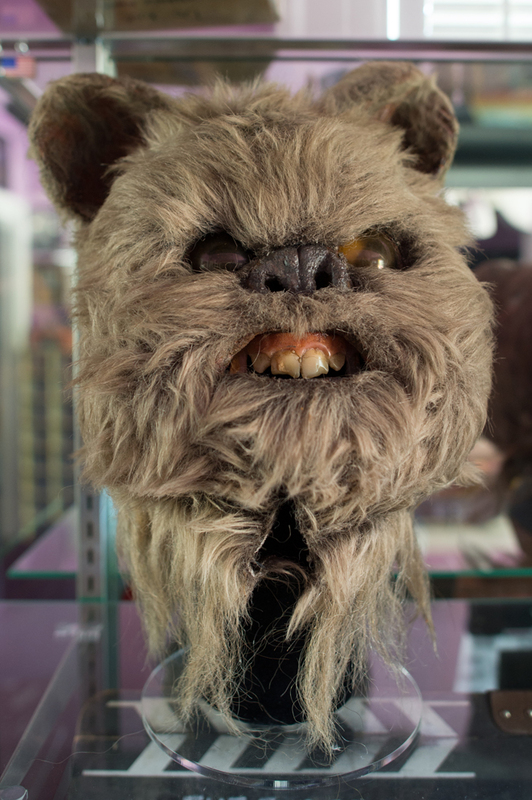 This is one of the larger Ewok masks used for the Star Wars film, Return of the Jedi. All of the Ewok masks used in the film were custom made to give a unique look to each Ewok character. With fixed plastic eyes and the trademark ewok buck teeth, this mask has all the elements of an Ewok. The inside of the mask is marked "Ronnie Phillips", for the unnamed Ewok played by that actor.